Great opportunity to own a spacious, 3 bedroom 2.5 bathroom town home located in a quiet corner of the gated Palm Crest Community. Consisting of three levels, stairs lead to the second floor where you can sit back and relax in the open plan living and dining room with sliding doors opening onto your own private balcony. 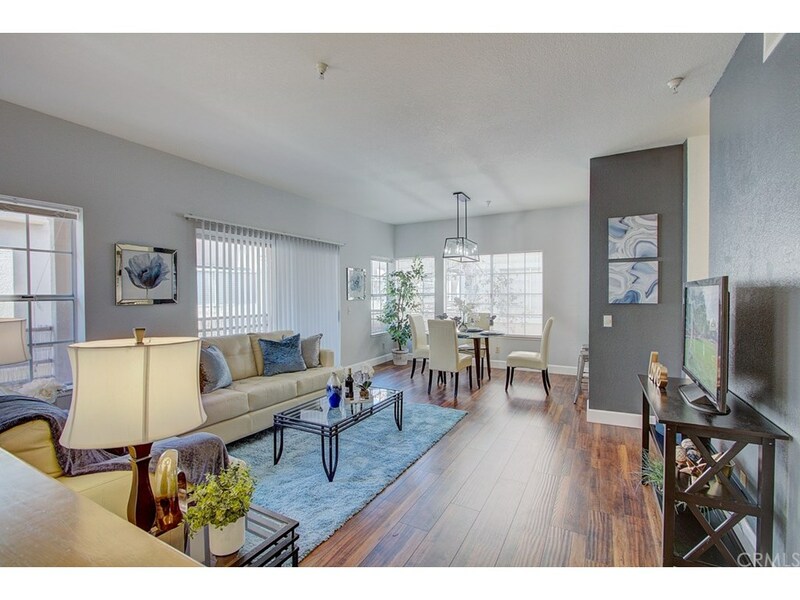 This light and bright corner unit features new laminate flooring and completely remodeled kitchen with new cabinets, recessed lighting, stone counters, stainless steel appliances and large breakfast bar. Convenient powder room has also been upgraded with new counters, lighting and vessel sink. Upstairs you'll find double doors leading to a spacious and sunny master suite with vaulted ceilings, mirrored wall and generous closet space. Two additional bedrooms, also with vaulted ceilings and large closets, share a full bathroom. Direct access garage with laundry and storage area complete this lovely home. Enjoy the comforts of this well-maintained, gated community with private pool and spa. All this within easy access to SpaceX and Tesla, Park and Ride Metro, 405 and 105 freeways, and just minutes from malls, LAX and the beach. Ready to move in and make it yours!